Looking for a dedicated server near Houston, Texas? ServerMania’s Dallas data center is an affordable alternative to Houston dedicated servers. Our Dallas data center offers the same great connectivity as Houston, at a fraction of the cost. Located just 225 miles from Houston, ServerMania’s Dallas dedicated servers deliver exceptional connectivity, reliability, and performance for your business. This makes Dallas the perfect choice for enterprise-grade dedicated servers. With custom built servers and 15 minute response times, ServerMania is here to meet the needs of any client. ServerMania’s Dallas data center was designed with reliability, performance, and support in mind. Redundant power, network, and security systems ensure that your server remains online at all times. These factors are critical for the best dedicated hosting experience. A diverse-path fiber ring provides reliable and redundant connections to the backbone network, which is especially tuned to serve Central and South America. Our Dallas dedicated servers come with a 100% network uptime SLA to deliver a reliable dedicated server hosting experience for your business. These servers are among the best dedicated server hosting options in the United States. 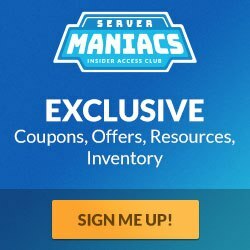 WHY IS SERVERMANIA’S DALLAS DATA CENTER THE PERFECT OPTION? By leveraging only the best Tier 1 network carriers and building redundant systems across the data center, ServerMania is able to deliver a 100% network uptime SLA. ServerMania's Dallas network consists of XO, Zayo and TierPoint. Further connectivity options exist onsite. Test your connection to Dallas, Texas with a speed test.